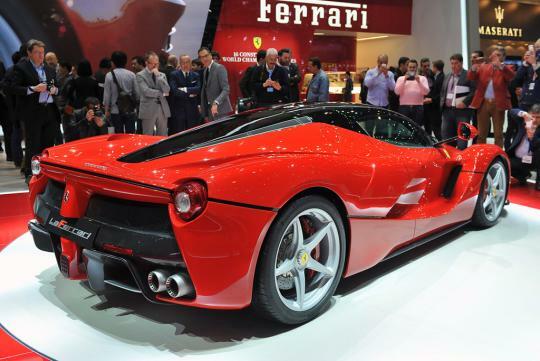 With only 499 units to be built, the Enzo 2.0 or LaFerrari as it is officially christened made its highly anticipated world debut in Geneva. 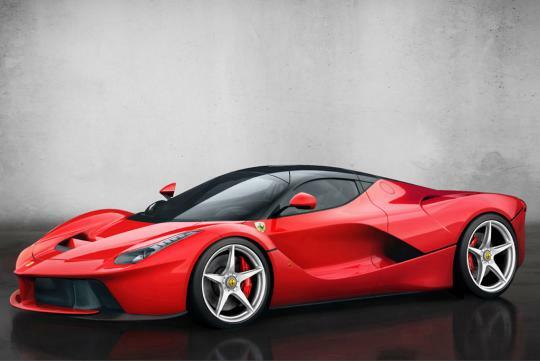 Following a lineage of halo cars from the original GTO to the Enzo Ferrari, the LaFerrari (which we think is an astonishing name for a Ferrari � unlike certain random numbers or bulls), experiments with new technological solutions which will be featured in its future road cars. 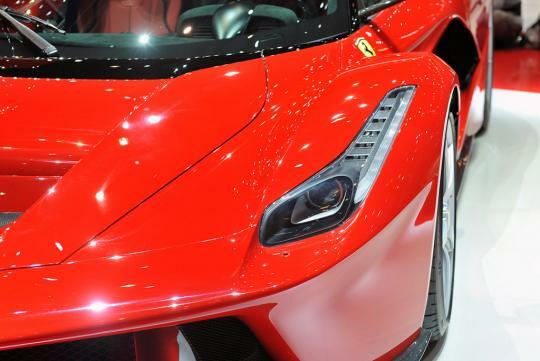 The potent Prancing Horse of Maranello also possesses a partially green heart, due in part to the hybrid powertrain system which is based on Formula One technology. Known as HY-KERS, it represents the perfect combination of maximum performance and lower emissions - of just 330g/km of CO2. 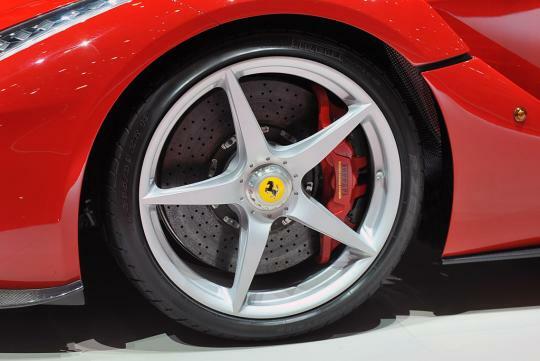 The hybrid system is composed of two electric motors developed in collaboration with Magneti Marelli. One motor powers the wheels while the second the ancillaries � and a battery pack that are charged either in braking or from excess torque that is converted to energy and stored. 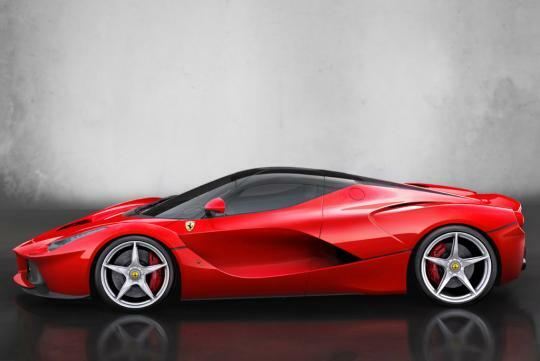 Tifosi's have nothing to fear as the hybrid powertrain construction has not softened the performance expected of a Ferrari Supercar. 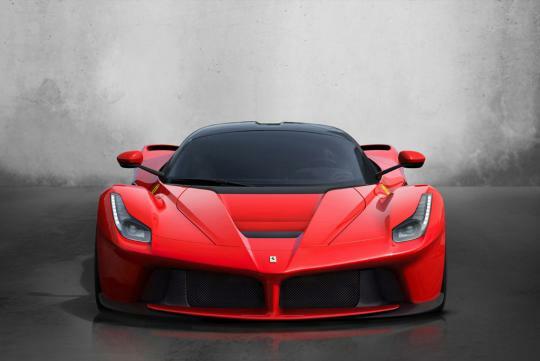 The 6.3-litre (6262 cc) V12 produces 789bhp and revs to a high 9,250 rpm, for a high specific output of 126bhp per litre. The engine is married to a 120 Kw (160bhp) electric motor and combined is capable for a potent 949bhp and excess of 900Nm of torque. 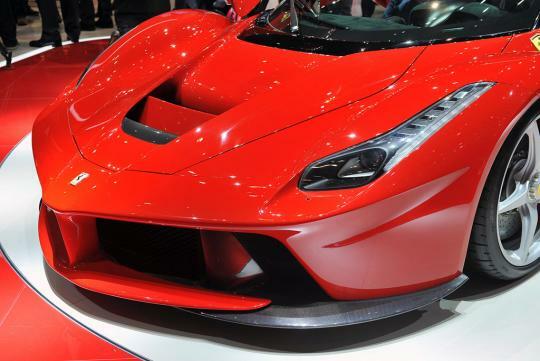 Ferrari claims the LaFerrari takes less than 3 seconds to hit the century mark and a top speed of 329km/h. 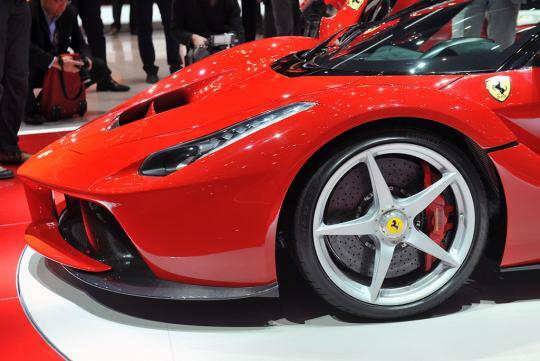 The LaFerrari laps the famed home track of Fiorano in just under 1:20 minutes �5 seconds faster than its predecessor, and over 3 seconds faster than the F12berlinetta. 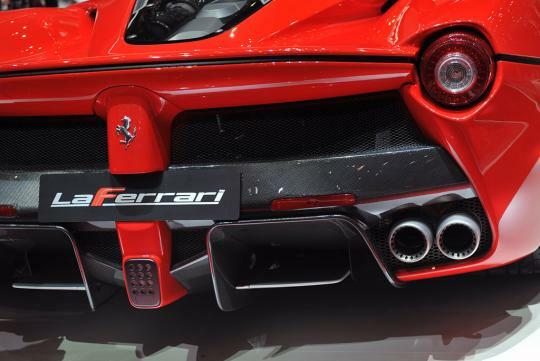 To keep weight down, Ferrari replicated engineering practices of its F1 team to treat the four different types of carbon fibre for the chassis to be hand-laminated and autoclave-cured. 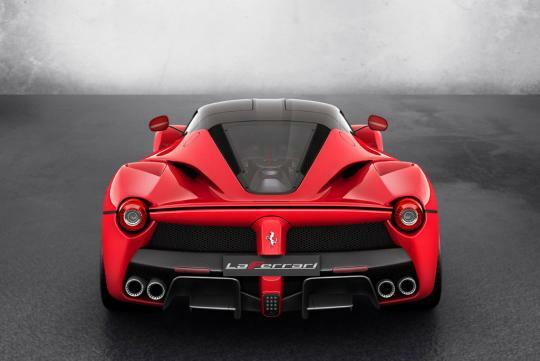 Like the Pagani Huayra, active aerodynamics plays an essential role to generating required downforce when needed without compromising the car's slick aerodynamic design. A coefficient value of nearly 3 is attainable thanks to technical solutions honed with CFD analysis and fine-tuning in the F1 Wind Tunnel. 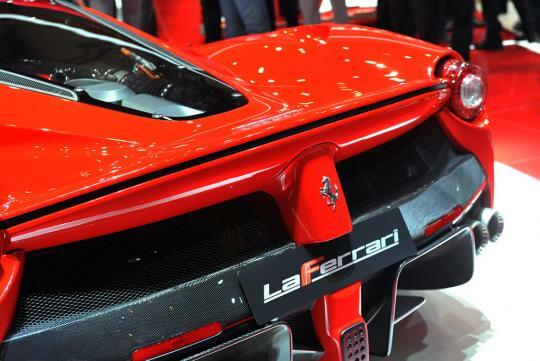 The LaFerrari sports active aerodynamic devices at the front diffuser and guide vane on the underbody to the rear diffusers and rear spoiler. The cabin features fixed and tailored seats while both the pedal box and steering wheel are adjustable. 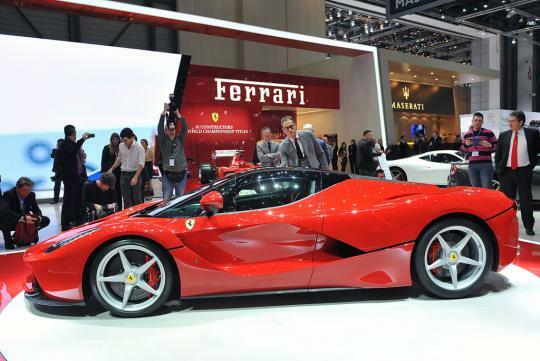 The driving position is akin to Ferrari's single seat racers and was designed in collaboration with the Scuderia Ferrari team drivers of Fernando Alonso and Felipe Massa. A newly-designed steering wheel houses all the major commands on top of longer and more ergonomic gear-shift paddles. 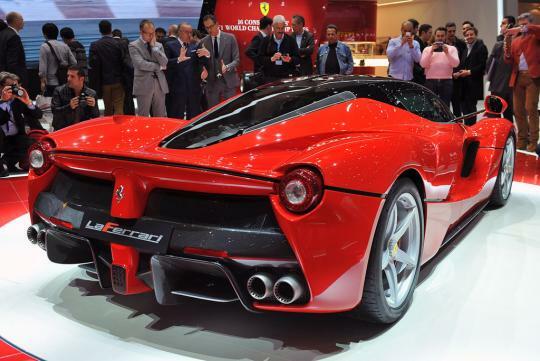 Ferrari claims the interior has adopted a track-inspired guise. 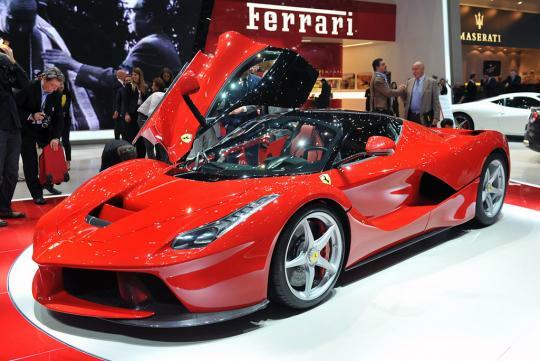 "We chose to call this model LaFerrari, because it is the maximum expression of what defines our company - excellence. 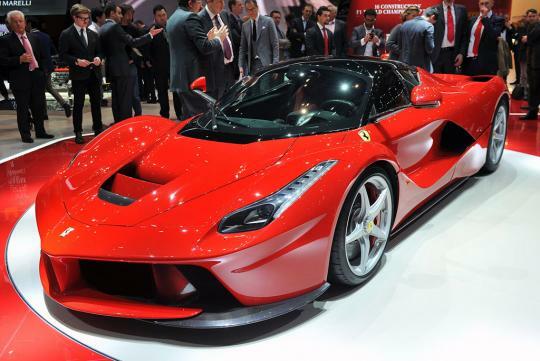 Excellence in terms of technological innovation, performance, visionary styling and the sheer thrill of driving. 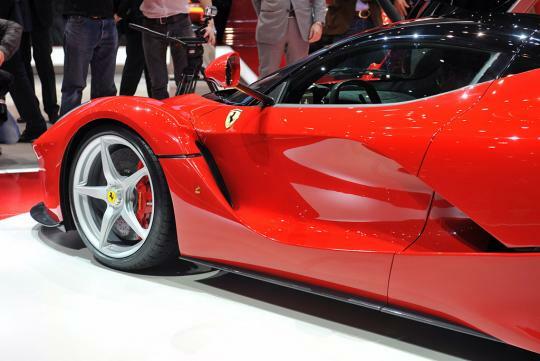 LaFerrari is the finest expression of our company's unique, unparalleled engineering and design know-how, including that acquired in Formula 1," declared Ferrari's President, Luca di Montezemolo at the unveiling of the Enzo 2.0, pardon us, the LaFerrari at the ongoing Geneva Motor Show to much fanfare.